As general and chief as the Civil War began he developed the Anaconda Plan to defeat the South. Due to his age and some wrangling with McClellan he retired in 1861 and was replaced by McClellan. Winfield Scott's greatest days were before the Civil War. He predated West Point, and entered the artillery in 1808 direct from civil life as a lawyer. He found a large number of antiquated Revolutionary War officers above him, and grew feisty. His temper got him suspended from the Army for a year, but he was back in time for the War of 1812. He fought aggressively and well on the Canadian border, being wounded at Lundy's Lane and captured at the battle of Queenston Heights. If Andrew Jackson was the hero from the southern theater, Scott was the hero of the northern operations; the difference was that Jackson went into politics while Scott stayed in the Army. He flirted with politics in 1852, accepting the Whig nomination for President, hoping his recent wartime fame would be enough. 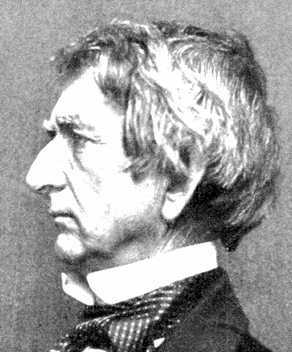 It wasn't: he got only 42 electoral votes in the last presidential election the Whig party would contest. In 1861 he still ran the army (his nickname referred to his rigid observance of regulations) and stayed loyal to the United States. (He pre-dated the Constitution.) He was also grossly overweight and couldn't even mount a horse, so he had to direct operations from Washington. He didn't have great luck with the men he picked to run operations, and took much of the blame for the disaster at First Manassas. Not only had McDowell not been much of a battlefield commander, Robert Patterson hadn't done anything in the Shenandoah Valley, allowing Joe Johnston to move his army to Manassas. When McClellan replaced McDowell he campaigned against Scott as much as against the Confederates. Scott was nominally General-in-Chief, but McClellan answered directly to the President. Events had come full circle, and Scott was in the position of the senior officers he'd so resented before the War of 1812. Lincoln retired him on November 1, 1861 but left him with full rank and pay, recognizing the old soldier's work for the young country. Scott survived the war, and followed the campaigns carefully. He greatly admired Grant, inscribing a copy of his Memoirs to the greatest general". It helped that many elements of his own strategy (the Anaconda Plan) were the basis of Union strategy.